Chippewa Valley Technical College is part of the Wisconsin Technical College System and serves an 11-county area. 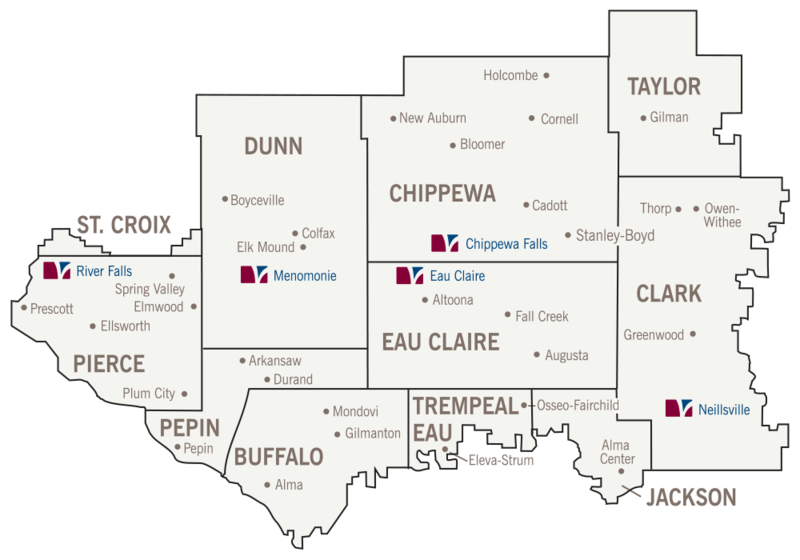 The largest campus is located in Eau Claire, with major regional campuses in Chippewa Falls, Menomonie, Neillsville, and River Falls. The College is one of 16 WTCS colleges located throughout the state. CVTC has an appointed district board consisting of nine members who serve three-year, staggered terms. We value all students and their diverse backgrounds. We are committed to their learning and success in a global society. We act with honesty, integrity, and fairness. We value a safe and cooperative work environment where individuals care for each other and grow through open communication. We value partnerships with business, government, educational systems, and our communities. We value working together to develop and continuously improve processes that support the creative pursuit of new ideas. We value the resources entrusted to us and will use them responsibly. CVTC is a dynamic partner for students, employers, and communities to learn, train, and succeed. These core abilities are woven throughout the student's avenue of study not becoming the sole responsibility of any one course but rather integrated into all curriculum as appropriate, thus building a strong base for academic and personal success. Looking for a job in higher education? Working at CVTC is an exciting way to make a difference. Whether you are considering an employment opportunity in teaching, or a role in an administrative or support position - everyone at CVTC works together to produce the BEST! We invite you to join us and work with people who love what they do! Find out when employment opportunities come up at CVTC by subscribing to our Employment Listserve. You will receive notifications via email of open positions. You can unsubscribe at any time. with SUBSCRIBE in the body. with UNSUBSCRIBE in the body.